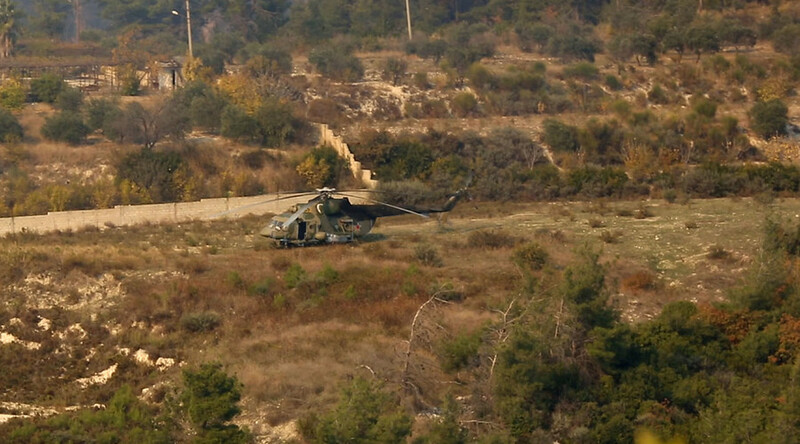 A new video shot by reporters in Syria has shown the Mi-8 helicopters, which had been on a mission to rescue the pilots of the downed Russian plane, fall under fire by local militants. Footage shows that one of the helicopters crash-lands, but the crew eventually gets rescued from the dangerous zone. The incident was caught on camera by reporters of ANNA-News, who were in the area of the downed plane on Tuesday. The video starts with images of smoke billowing over the site of the Su-24 crash. At the 46th second, the video starts showing the rescue operation. In the subsequent footage the viewer sees how two Russian-made Mi-8 helicopters are shelled by militants from the ground. One of them later manages to return to the base. The other one crash-lands on a mountain slope. A Russian marine was killed in the incident, while the rest of the crew and servicemen on board were evacuated to Russia’s Hmeymim Airbase in Syria. The footage shows the crew escaping from the dangerous area, shelled by militia. Russian Su-24 military jet was downed early Tuesday morning by Turkey, amid claims that the Russian plane had violated its airspace and had not responded to warnings. Moscow has denied Turkey’s claims, saying its plane was downed in Syrian airspace.